Many retiring baby boomers will need more than their fixed incomes will provide. Where will the help come from? As a nonprofit worker, I was on a limited income for many years. Now, I’m experiencing fixed income. It’s minimal, currently covering my rent and part of my health insurance. Already, there are small things I need help with. What will happen when I need help with more than a few chores? Aging at home is preferred, but how will I find the assistance I need, and will I be able to afford it? Assisted living facilities are too costly and nursing homes, also expensive, have a negative reputation. I hope I don’t need any of this, but it’s unrealistic to expect otherwise. I’m probably ahead of many of my friends in terms of savings. But I frequently find myself doing a personal actuarial: how many years, barring emergency, can I afford to live? It’s likely I’ll need help from some kind of public safety net. Is there one? Safe and affordable housing is in short supply throughout the community, for the elderly and everyone else living on a low or fixed income. Professional caregivers should be well-trained, competent and fairly compensated. My generation will insist on opportunities to remain engaged, contributing members of society rather than lining us up in our wheelchairs in the hallway. About 10,000 baby boomers in the U.S. turn 65 each day. If you’re not part of this group, you’ll likely be caring for folks who are. As we build a collective, intergenerational future, let’s work together to make sure no one slips through the cracks. 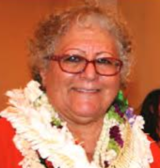 Nancy Aleck is the former executive director of the Hawaii People's Fund, which supports community groups working for social justice. Originally published by Civil Beat. Read it there.